I’ve been lucky to be a part of the Abraham Lincoln Library and Museum on and off and in one capacity or another since my undergrad days—as a student intern, a curatorial assistant, and now as the museum’s director. Back when I was an intern, our curator Steven Wilson used to say, “A museum is a communication device.” The ALLM has been in the communication business for a long time. For more than forty years, we’ve been telling the story of Abraham Lincoln and his era. Now we’re transforming the way we tell that story. We’ve got big plans. Let me tell you what’s in the works, and how you can help us bring it all to completion. 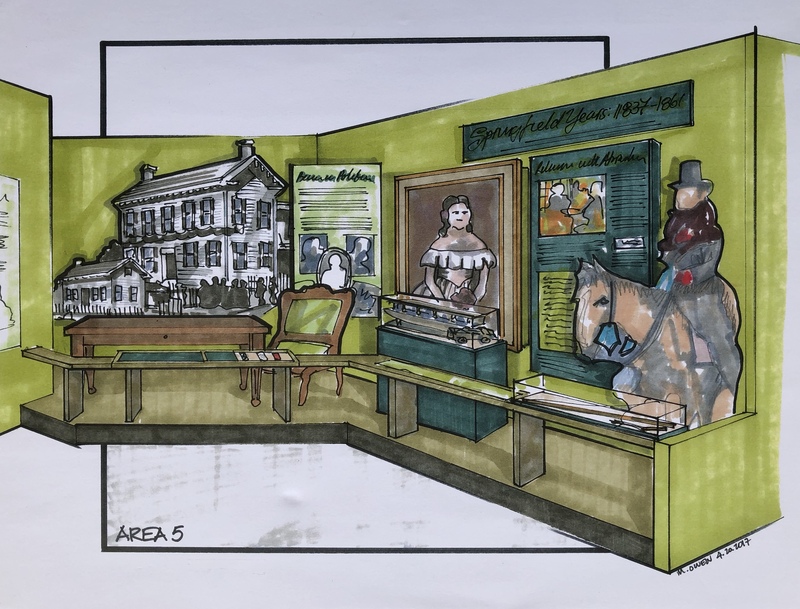 Thanks to a very generous gift from the estate of Hansel and Dorothy Kincaid, we’ve been working with a fantastic team of exhibit designers and fabricators to completely overhaul one of our permanent galleries. That effort will finally be finished next month. We’ll unveil our exhibition Log Walls to Marble Halls in the newly renamed and renovated Kincaid Gallery. This exhibit examines Lincoln’s rise to national prominence, from his humble ancestry to the eve of his nomination for the presidency. 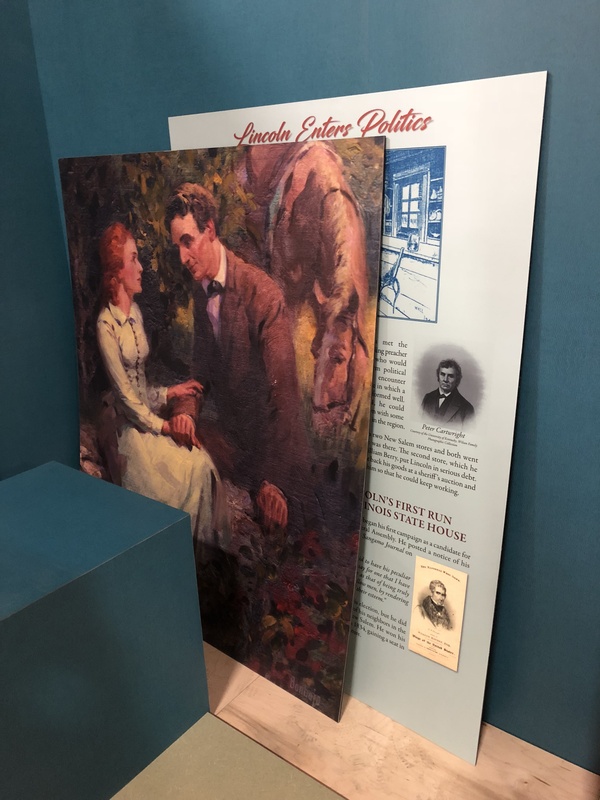 We’ll have more of our remarkable collection on display than ever before, taking visitors on a journey through Lincoln’s pre-presidential years using state-of-the-art exhibitry. A few days ago we saw some of the finished graphic panels, cases, and other elements for the first time. I can’t overstate how excited we are. This gallery is going to be beautiful, and we can’t wait to show it off. But Log Walls to Marble Halls is just the first chapter of the story we need to tell. We want to bring our other exhibits up to the same modern standard as the Kincaid Gallery. 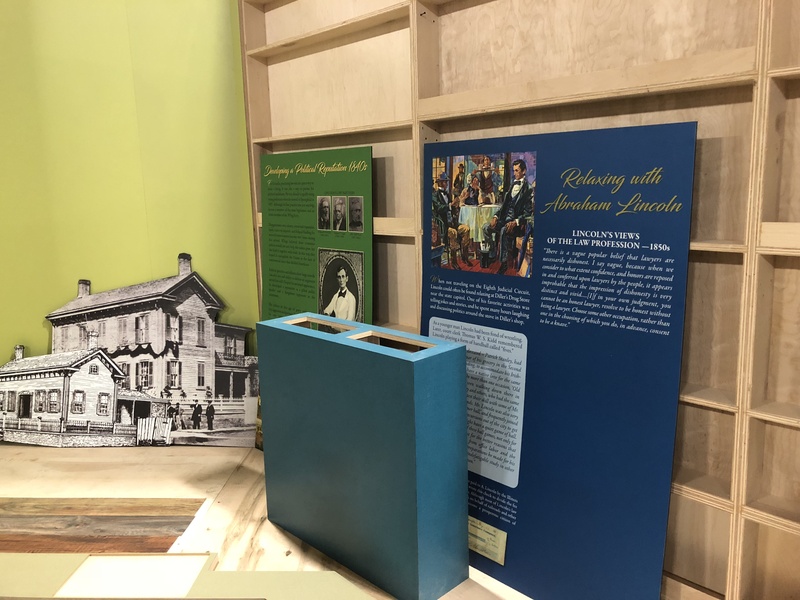 We’ve got to complete the saga of Lincoln’s life story with a permanent exhibit on his presidency, his management of the war, and his transformative vision for America. And we’ve got to tell the other stories in our collection—the story of the Civil War as ordinary soldiers and civilians experienced it, the story of how the world has commemorated Lincoln in art and entertainment—not to mention our own story, the story of how such a remarkable Lincoln/Civil War collection ended up at a college in the mountains of Appalachia. Telling these stories will take a lot of space. 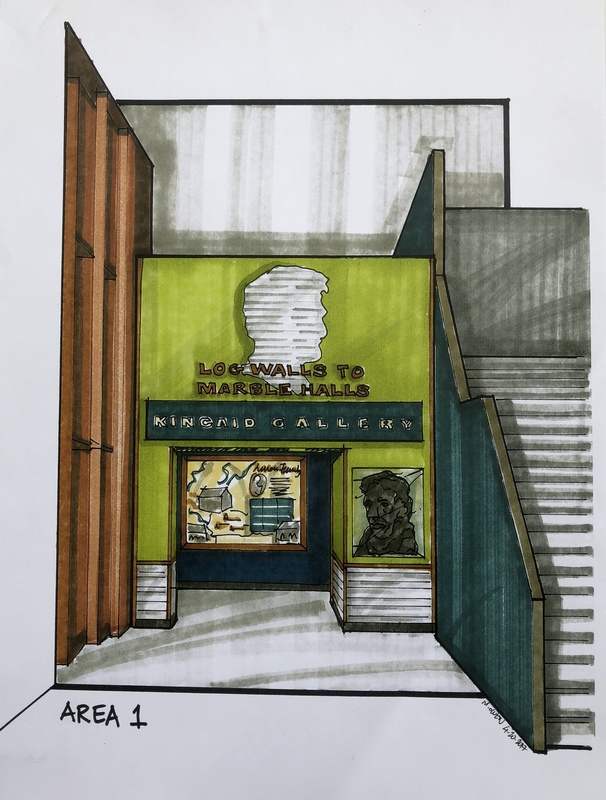 That’s why we’re drawing up plans for a major expansion that will nearly double the size of our other permanent galleries. And we need to make other improvements to the facility to ensure that our collection remains as secure and accessible as possible for many years to come. Fortunately, we’ve got an opportunity to make it happen. We have an astounding offer of $1 million from the Kincaid estate, provided we can raise an additional million to match it. We’re already well on our way to meeting this goal, and we invite your participation. If you’d like to help us complete the transformation of the ALLM, you can donate to the Kincaid $1 Million Matching Challenge online or by sending a check to LMU. 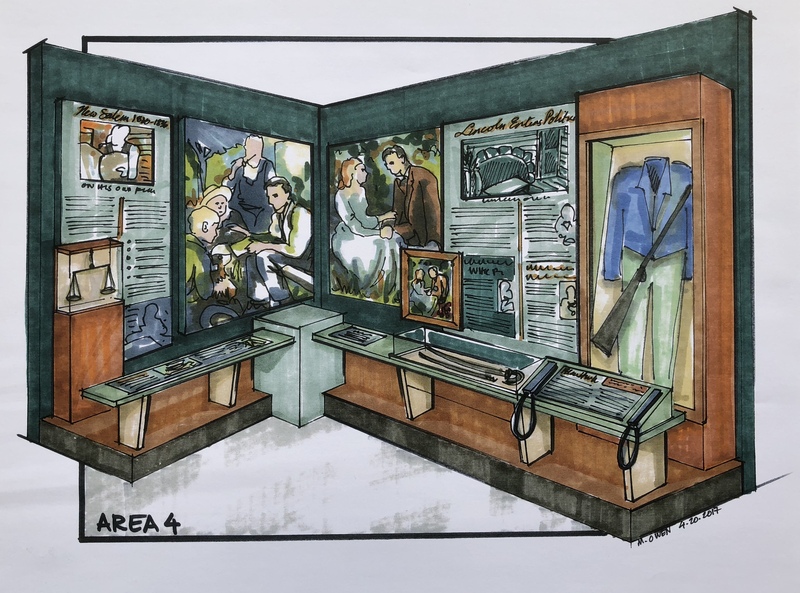 And if you have any questions about the campaign or you’d like more information about our plans for the museum, please feel free to contact us. We appreciate your support. And we look forward to sharing the Lincoln story in with you in exciting new ways! Remember a few months ago when I posted this? Maybe there’s a way to incorporate “teachable moments” into visitors’ gift shop browsing. Some chain bookstores have staff recommendation sections where the displays include a brief message from employees about why particular books appealed to them. Maybe museum shops should set aside some shelf space where curators and staff historians could highlight especially good works in their fields, complete with blurbs about why each title appeals to them. Besides encouraging people to pick up solid works, it would have the added benefit of putting a human face on the staff, allowing them to engage visitors on a personal level without even setting foot outside their offices. Well, we’re going to give it a try at the ALLM, at the suggestion of our program coordinator, Natalie Sweet. We’ve selected a few of our favorite books from the gift shop and added personalized blurbs to the shelf display. Maybe it’ll prompt visitors to give these titles an extra look and foster their own independent historical studies. Natalie picked Just a Few Words, Mr. Lincoln. It was the first Lincoln book she read as a kid. Her note to visitors explains why it made an impression on her. Steven Wilson, our curator, recommended The Wilderness Road. It’s an engaging history of the museum’s neck of the woods by a former LMU president, first published in 1947. And I decided to recommend Battle Cry of Freedom, still my favorite one-volume history of the Civil War. We want visitors to leave hungry for more information about Lincoln’s era, and I think it’s as good a place to start as any. 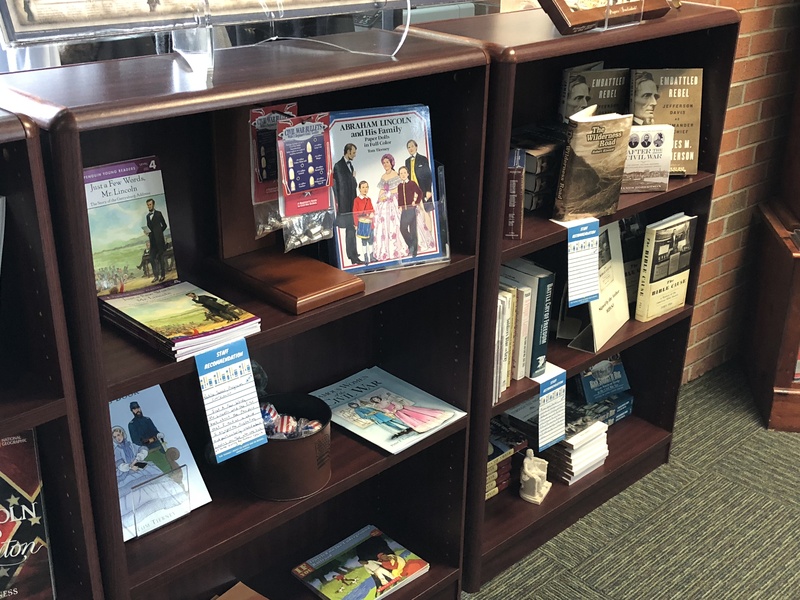 If this little experiment works out, we might devote more shelf space to staff recommendations, and maybe get suggestions from the Civil War historians on the faculty.